A Greener World designed this custom check-off label for Hunter Farms using a photograph of the farm’s founder, the farm’s existing logo and certification logos, and the claims desired by the farm. Safe handling instructions and “Keep Refrigerated or Frozen” are required by USDA. 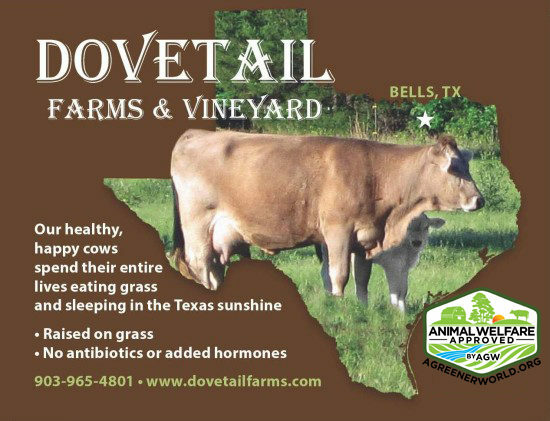 This supplemental label’s design is based on the farmer’s vision for a product label that communicates their practices and place to local customers. A Greener World worked with Gibson Farms in Westminster, South Carolina, to create a label that works in their plant’s in-house machine. 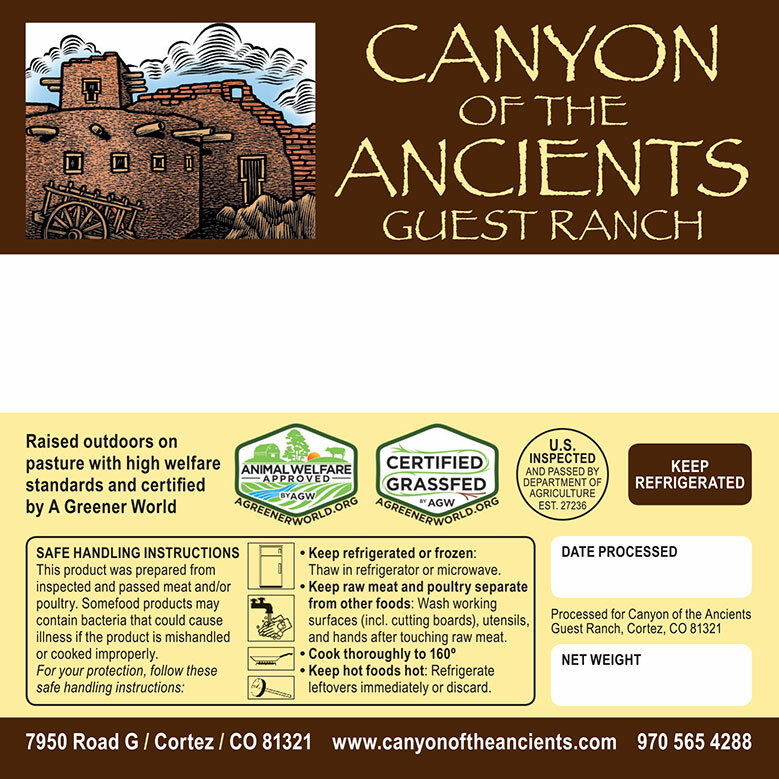 A Greener World helped Canyon of the Ancients Guest Ranch in Cortez, CO, create this food label for their Certified Animal Welfare Approved by AGW, Certified Grassfed by AGW beef cattle and sheep products. 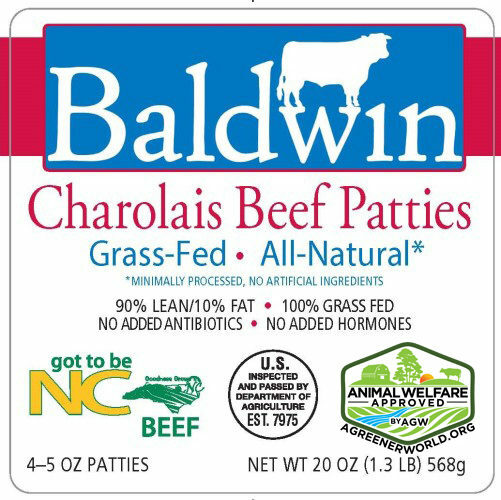 A Greener World worked with Baldwin Family Farms to get approval from Food Safety and Inspection Service for this beef patty label’s grassfed, natural, antibiotic, hormone and Certified Animal Welfare Approved by AGW claims. Goodnight Brothers country ham label. 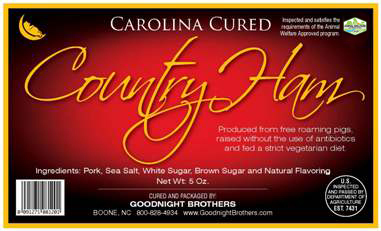 Goodnight Brothers sources pork for their pasture-raised pork line from a cooperative of Certified Animal Welfare Approved by AGW hog producers, the NC Natural Hog Growers. 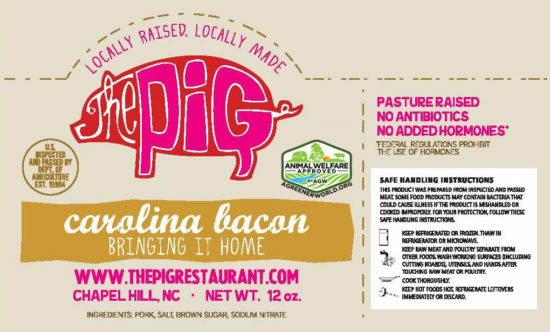 A Greener World’s labeling service worked with The Pig of Chapel Hill, NC to design an attractive label for their bacon incorporating and consistent with their existing logo. 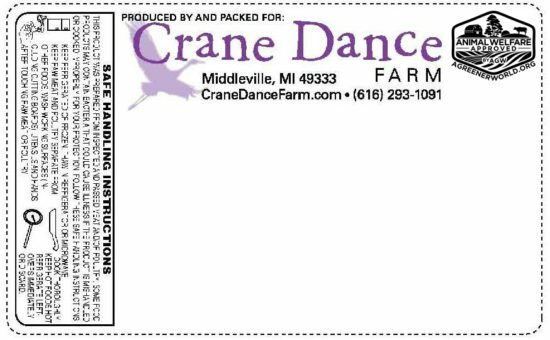 This label, from Crane Dance Farm in Middleville, MI, is a good example of what can be done to effectively and attractively brand a farm’s product when space is limited. 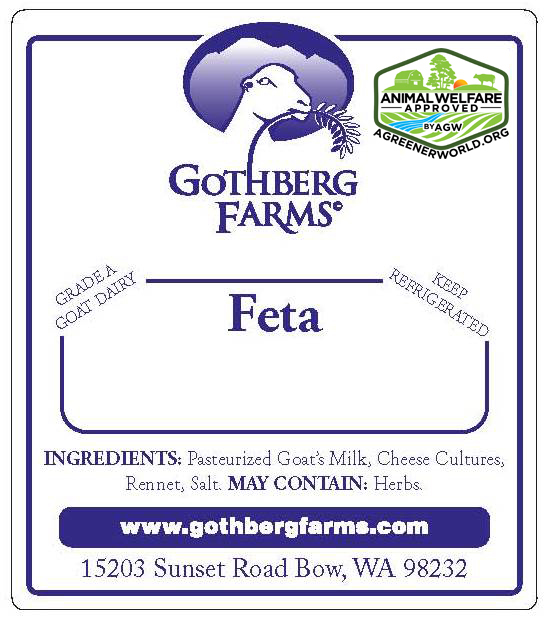 For this label for Gothberg Farms’ goat cheese, A Greener World’s labeling services simply updated the farm’s existing label by adding the Certified Animal Welfare Approved by AGW label. Note that dairy labels must be compliant with state, rather than federal, regulations. 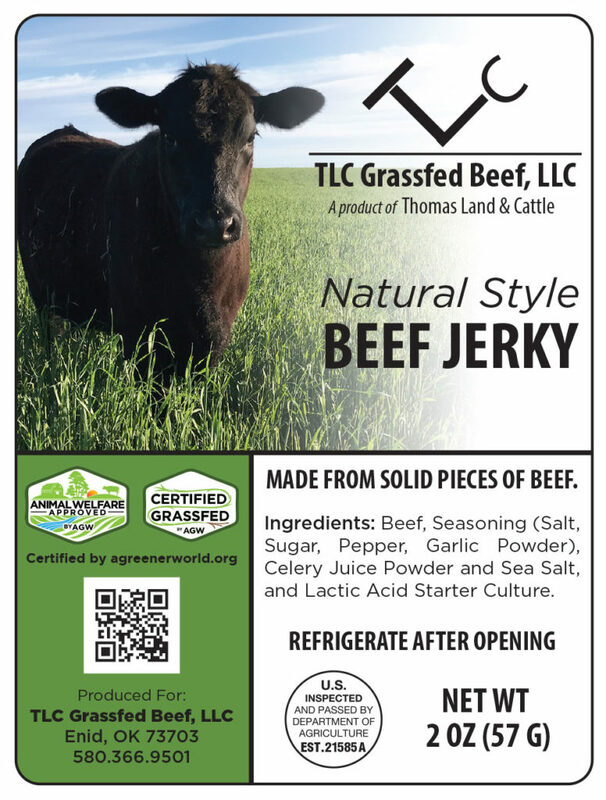 A Greener World assisted Thomas Land and Cattle LLC/ TLC Grassfed Beef LLC in Enid, OK, with developing a food label for their Certified Animal Welfare Approved by AGW, Certified Grassfed by AGW beef jerky. 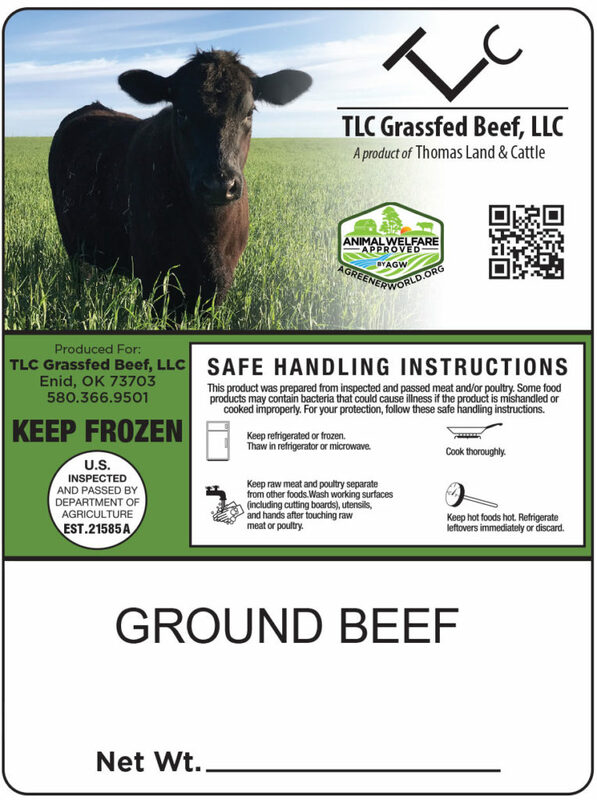 A Greener World assisted Thomas Land and Cattle LLC/ TLC Grassfed Beef LLC in Enid, OK, with developing a food label for their Certified Animal Welfare Approved by AGW, Certified Grassfed by AGW ground beef. AGW assisted Fouch Farms in Mariposa, CA with the label’s design based on the farmer’s vision for a product label that communicates their sustainable practices. 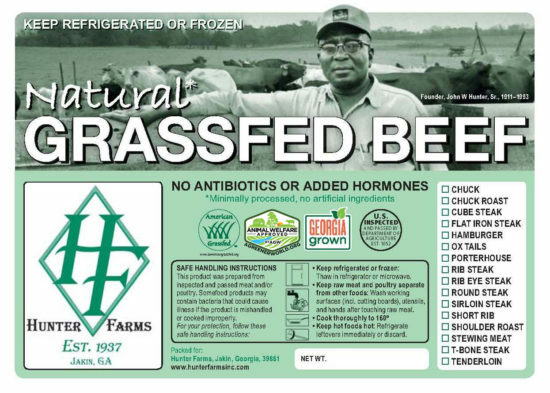 A Greener World assisted Sampson Family Farm in Live Oak, FL, with developing a food label for their Certified Animal Welfare Approved by AGW, Certified Grassfed by AGW beef cattle and sheep.